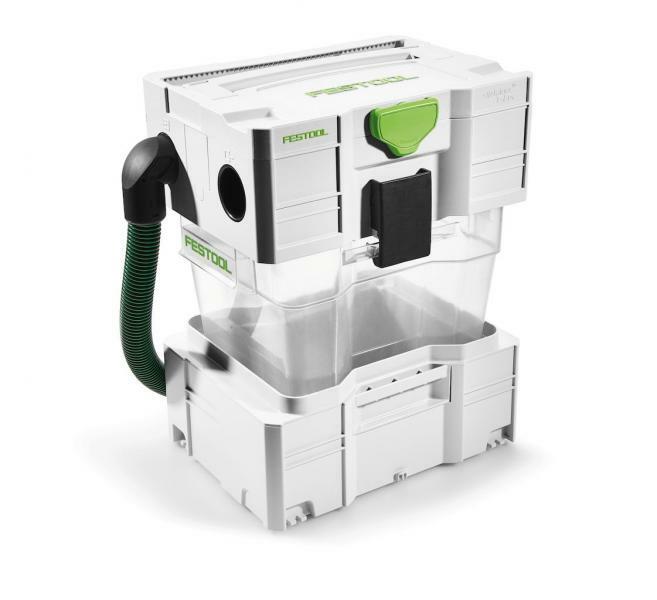 Power tool manufacturer Festool USA is set to introduce an anti-static pre-separator for large debris and coarse material. Designed to be used with the company’s CT Dust Extractor, the CT Cyclone separates large particulate before it reaches the dust collector. 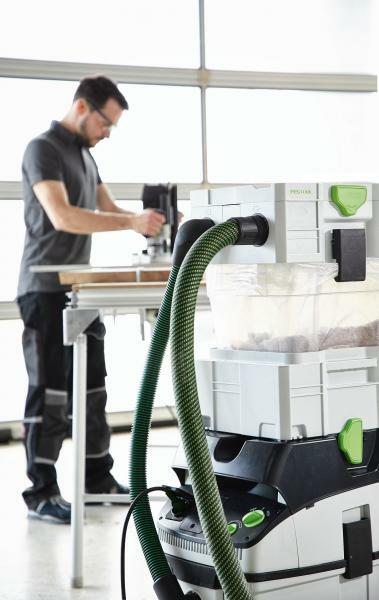 The company says the unit will increase the efficiency and cost effectiveness of portable Festool dust collection systems by reducing the number of filter bags needed. The company also says the unit reduces the overall dust load on the main dust extractor filter, resulting in “consistently high” suction power throughout the work process. “When used together, the CT Cyclone and CT Dust Extractor form a three-step filtration system for dust and debris,” the brand says. The way the unit works is simple: Dust-heavy air that is drawn in, is swirled into a spiral movement in the cyclone, causing the dust particles to hit against the wall of the cyclone and, due to the gravitational force, fall into the collection container. Additional features of the Cyclone include tool-free assembly, portability, and a stackable design. The CT Cyclone is sold with the Cyclone Systainer, Systainer Pan, Collection Container, Hose Connector, and Disposable Dust Liner.